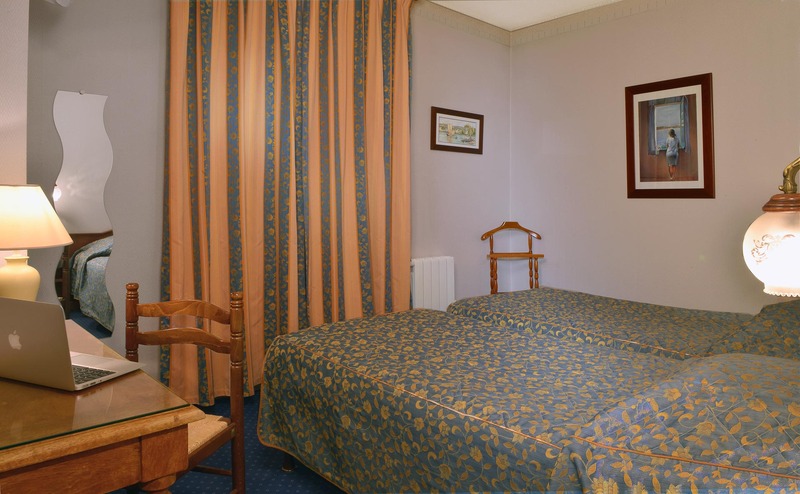 This lovely 15 m² room for 2 people has two separate single beds (90x200), and is perfect for business trips with colleagues or a holiday with friends. Bathroom with a bathtub. 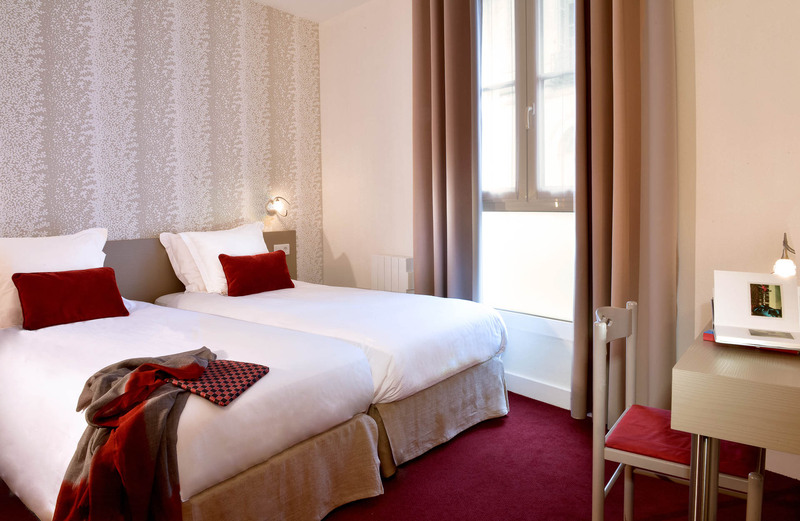 It comes furnished with a flat screen LCD TV (with Canal+), free Wi-Fi, a telephone, desk and hair-dryer.